Emma Watson is simply a master of all that she does. Apart from being a very hot and talented actor, as well as highly intelligent and a humantarian, the girl can do no wrong in challenging the status quo of conservative thought. In a historic move, MTV handed the first gender-neutral award to a thrilled Emma Watson. The film industry has typically had gendered awards that separate the achievements of actors and actresses, so this move towards inclusivity is incredibly admirable. Watson swept aside the competition in Daniel Kaluuya (Get Out), Hailee Steinfeld (The Edge of Seventeen), Hugh Jackman (Logan), James McAvoy (Split) and Taraji P. Henson (Hidden Figures) for the triumphant win. In her inimitable gracious fashion, Watson collected the award with pride and humility. “It says something about how we perceive the human experience. MTV’s move to create a genderless award for acting will mean something different for everyone. But to me it indicates that acting is about the ability to put yourself in someone else’s shoes and that doesn’t need to be separated into two different categories,” Emma said in her acceptance speech. Adding some swag to the kudos of being the inaugural recipient of this award is the fact that it was presented to Emma by Asia Kate Dillon whose character on Billions, Taylor Mason, is television’s first ever non-binary character. Outside of the role, she identifies with her character in parallel. Emma won the award for her role in Beauty and the Beast, which was ground-breaking in its own way. 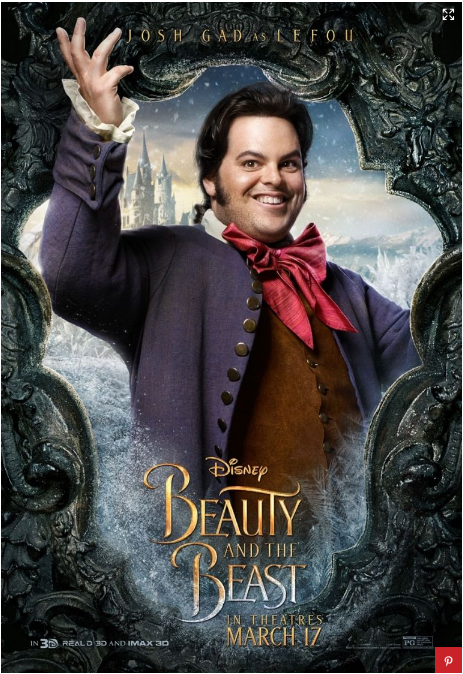 Emma has dished the dirt on Josh Gad, whose character Le Fou struggles with his sexuality in the film, experiencing confusing feelings for Gaston. Proudly referencing this ambiguous character in Beauty And The Beast as adding some gentle fun and ambiguity to the film, Watson insinuates it adds texture and a modern twist on a timeless tale. It’s nice to see that films and television are both striving for gender inclusivity on the screen and in the awards. Hopefully this move continues, and we’re sure it will if Emma has anything to do with it.